Taraji P. Henson comes out strong in What Men Want, a female-centric remake of Mel Gibson’s 2000 rom-com What Women Want, now playing in theaters. Passed up for a well-deserved promotion, sports agent Ali Davis (Taraji P. Henson) wonders what else she needs to do to succeed in a man’s world. Hoping to find answers from a psychic, Ali drinks a weird concoction that suddenly allows her to hear what men are thinking. Using her newfound ability, Ali starts to turn the tables on her obnoxious male colleagues while racing to sign the next basketball superstar. Henson is naturally very funny, but her skills shine brighter as a physical comedian in this film, whether she is running away from men with hysterical sexual references or getting hit in the head with a vase during an argument with her girlfriends. She is still sort of the same powerful woman in the movie as she is on her hit show Empire, but she is at her best in What Men Want. The film’s predictable “life lessons” is what keeps her character from coming off too harsh. The fact that she is also surrounded by a funny cast helps as well. For those who have seen the trailer, the “I thought black people stopped drinking tea after Get Out” line earned quite a few laughs, but Tracy Morgans’ rants about smoothies and Chinese American relations, and Wendi McLendon-Covey’s devotion to Jesus preventing her from wanting to get high were standouts. 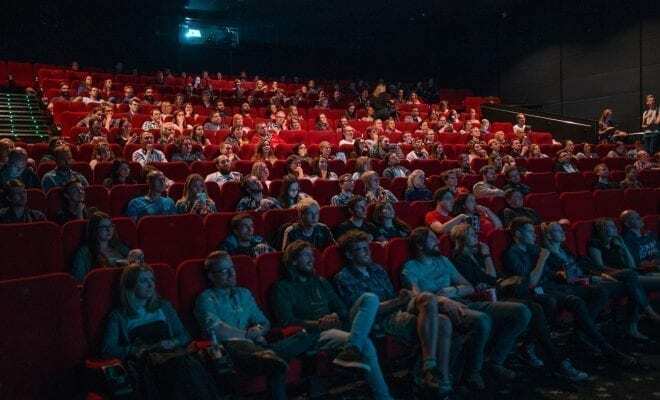 There were some jokes that weren’t quite as funny as one would hope, but the film’s overall humor should hit its mark with different people in the audience. However, What Men Want is a very misleading title as its more of a subplot. The film is really a story of a woman going for what she wants and finding a balance in her life between work and fun. There is a love interest, Will (Aldis Hodge), but he serves more of a push forward in her self-discovery than the basis of the whole movie, which isn’t a bad thing. If you enjoyed What Women Want, director Adam Shankman’s reboot is a little different, but you will get pretty much everything you are expecting out of it: a familiar plot, some giggles, and a strong female-led version of someone who has a life-altering ability. What Men Want may be predictable, but its humor and charm make it an overall enjoyable and fun movie to watch.